Gran Fury is a New York-based collective of ten visual artists, designers and assorted non-artists, which grew out of ACT UP (AIDS Coalition To Unleash Power) established in early 1987. They describe themselves as ‘a band of individuals united in anger and dedicated to exploiting the power of art to end the AIDS crisis’. In 1988, they realised that if freed from ACT UP’s ‘radical democracy’ – which allows the collective’s 500 or more members to vote on every piece of artwork – they could be more effective. 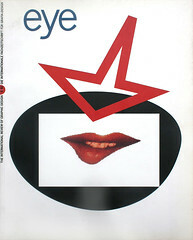 Gran Fury’s communication strategy mixes appropriate imagery and attention-grabbing graphic techniques. Newspaper portraits of politicians, the front page of the New York Times, the crude typography of warning signs and billboards, and even well known fine art and advertising images have all been subjected to subversive manipulation. Gran Fury have become adept at reacting quickly on a very tight budget. Their trademark devices are bold compositions, powerful copylines, humour, caustic irony and eye-catching colour. Group member Donald Moffett aptly describes the mix as ‘a new vernacular for street and activist art’. Although the group’s intention was never primarily to produce avant-garde design or art, the art community recognised the formal game-playing and became interested in the deeper message. Gran Fury accept art world funding for billboard sites and printing, but avoid compromising their position by insisting that projects remain in the public domain, on the street rather than in the gallery. Gran Fury have developed a highly effective means of fighting the complacency, disinformation and prejudice propagated by city, state and federal authorities, public health care agencies, the Catholic church, the pharmaceutical industry, and the conservative media. Four years on, group member Lorin McAlphin says: ‘Work still needs to be done, but the focus has shifted.’ ACT UP activists are now included on government advisory panels, and the output of Gran Fury has slowed down. As 1992 began, they occupied only one billboard site in New York. Their impact has been considerable, but morale in the group is low as AIDS continues to ravage the community.